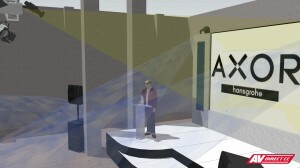 Visual Animation & Set Design for AXOR Hansgrohe Launch. 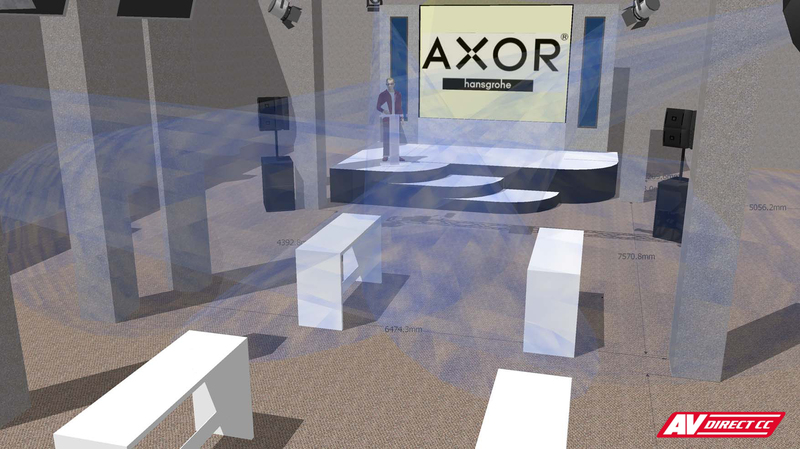 AV Direct was proud to partner Axor in bringing to life their new bathroom range. 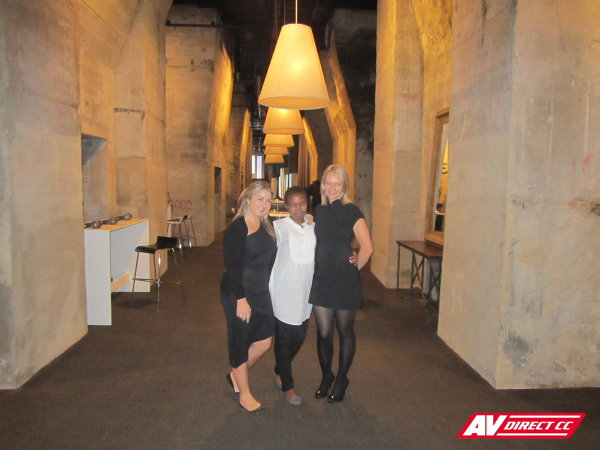 The event took place in the stunning Turbine Hall in JHB. 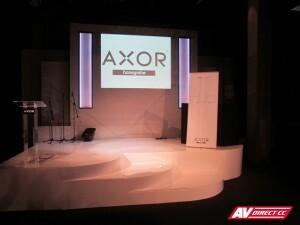 State of the art set design and visuals were top priority for this launch. 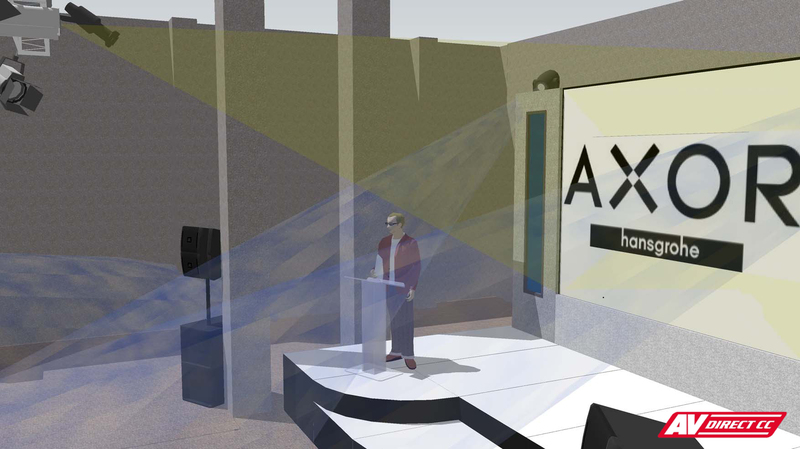 AV Direct made this simple using exact 3D renders of the venue combined with technical aspects like stage, projection and lighting. You can click on any picture in this blog to see a large image. 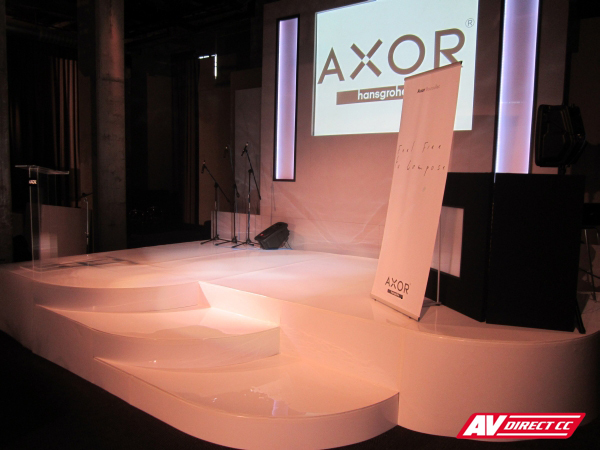 A truss lighting system was used to wash the set and certain areas of the display stands around the venue. 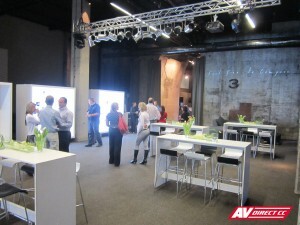 Christie LX700 projectors were also mounted onto the truss. One was to display the presentation on a recessed screen, placed inside our fabricated sets. 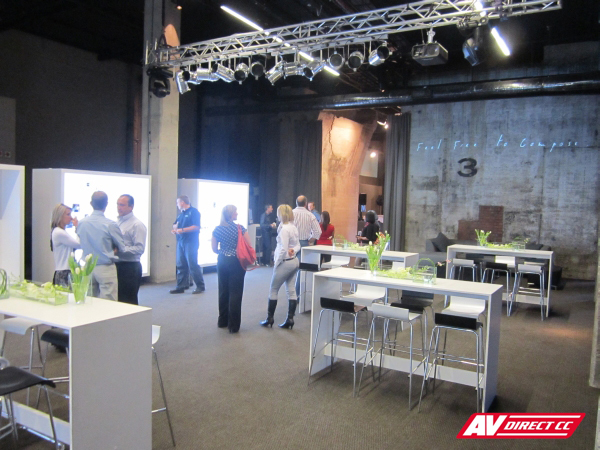 These sets have built-in LED lighting, french bracing and can be used in several different ways. 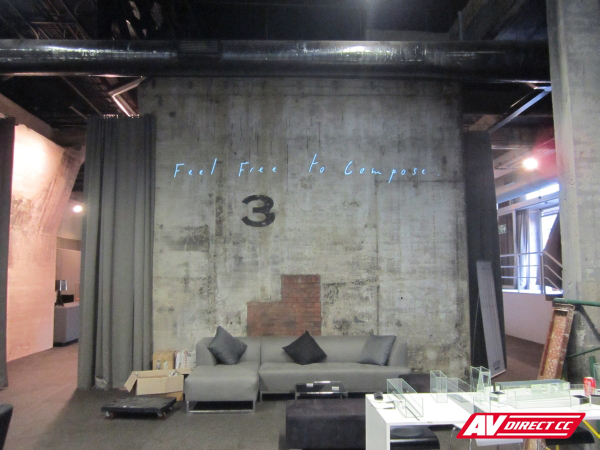 The other projector was used to run animation onto the wall that displayed cursive text writing, sentence upon sentence. The image below shows the effect created. 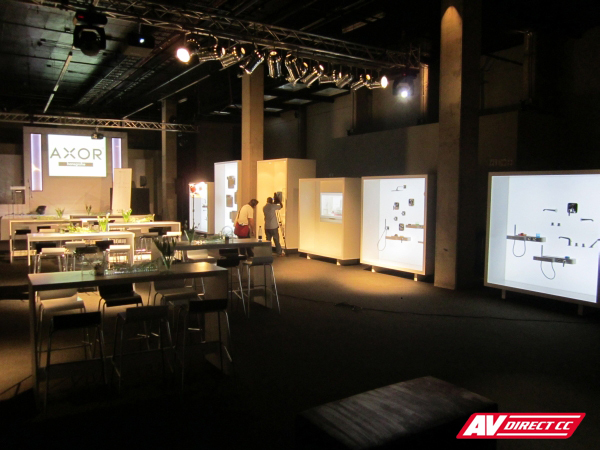 Display stands were placed around the venue highlighting the fabulous new products being launched. 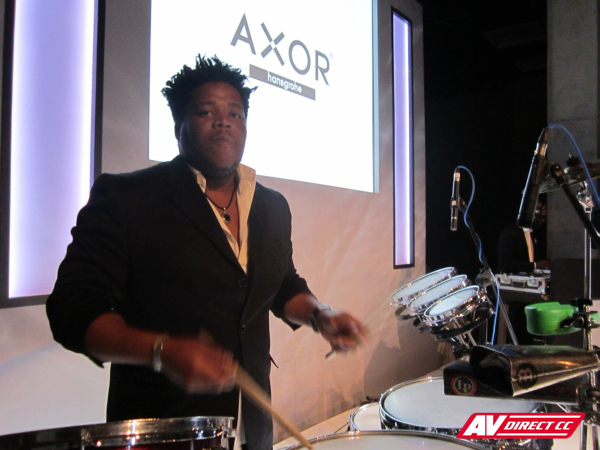 There was also a funky DJ and Percussionist to keep the attendees grooving throughout the show. 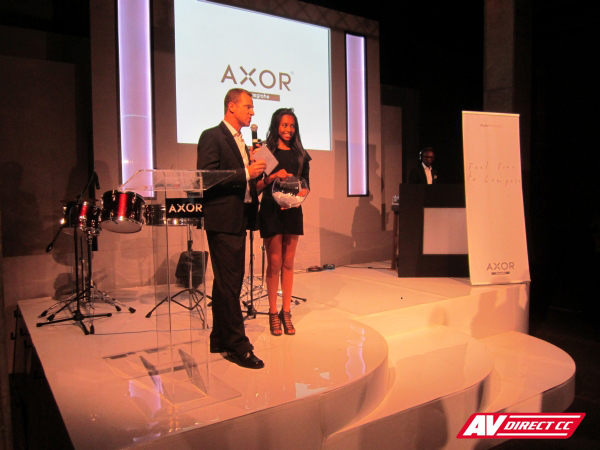 Prizes were awarded to clients and attendees for the support at the event! Overall the launch was hailed as a great success and we look forward to working with these fantastic clients again in the near future! Thanks for reading this blog! I hope it can inspire you to reach great heights! Remember to join our Facebook page and follow us on Twitter!